Sometimes you can do a lot of work, and yet it seems there are few big things to show for it. Well, the game has been improving dramatically piece by piece. We’ve had a game evening with some game dev friends and although there were a few technical issues, we all had a lot of fun. In an effort to increase the length of the game and the number of important decisions to make we’ve added a small tech tree. These unlock the second and third tiers, as well as upgrades for all weapons and resource collectors. The wind turbines now require air flow; exposure to vacant space to the left and right. This makes it much more tricky to develop your power economy, exposing them to enemy fire. Shields do not affect wind, and doors can be closed for temporary protection. There is now an armor piercing sniper, which will get through a layer of armor or several layers of bracing. This adds some panic to the game, and encourages more use of armor. 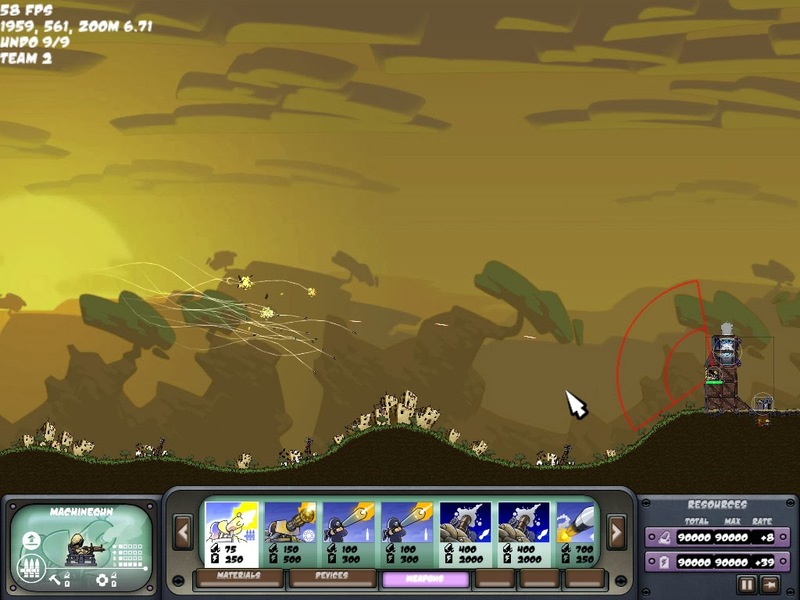 We’ve also added the swarming missile, which has many small rockets chaotically moving toward the target. This upgrades to the existing missile which launches a single payload with far reaching splash damage.